There’s nothing like hot waffles for breakfast… that soft, chewy confection with the crispy, crunchy edges drenched in butter and syrup, has always been a classic favorite of mine. 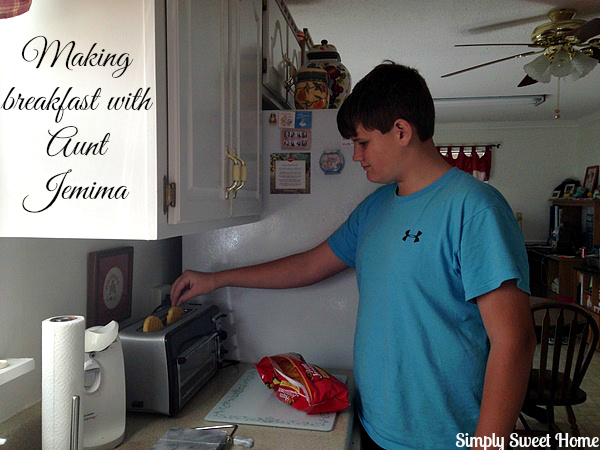 And Aunt Jemima makes it so easy a kid can do it. This weekend Noah made his own breakfast with just the push of a button. Now that’s convenient! These days, however, the waffle has branched out. If you stroll the internet, you’ll find waffles topped with fruit, cream cheese, peanut butter, and even chocolate! Waffles also make a great bread substitute for your bacon, egg, & cheese sandwich, breakfast casserole recipes, and more! 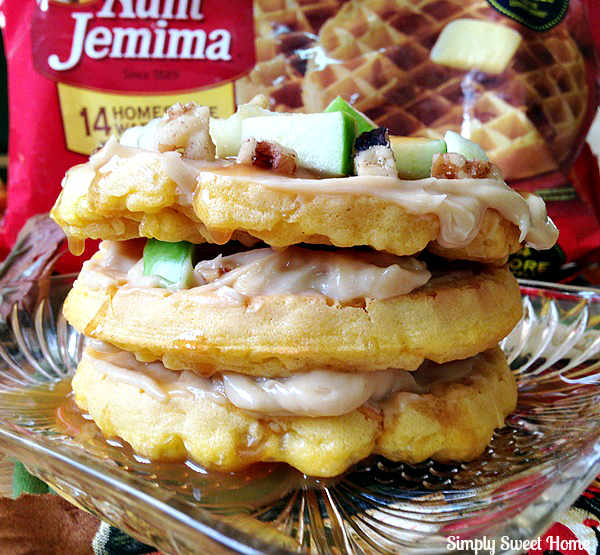 Recently I bought some Aunt Jemima Homestyle Waffles, and they inspired me to think outside the box (literally) and create a recipe especially for this fall season. When I say, “think outside the box,” I’m not just referring to my creativity with the recipe. I’m also referring to Aunt Jemima’s new product packaging. If you’ve bought frozen waffles in the past, I’m sure you know they generally come in a rectangle shaped box. But now you’ll find them in a bag, which reseals to keep the freshness in. Upon examining the package, you will also find that there are 4 more waffles in every pack, for a total of 14. 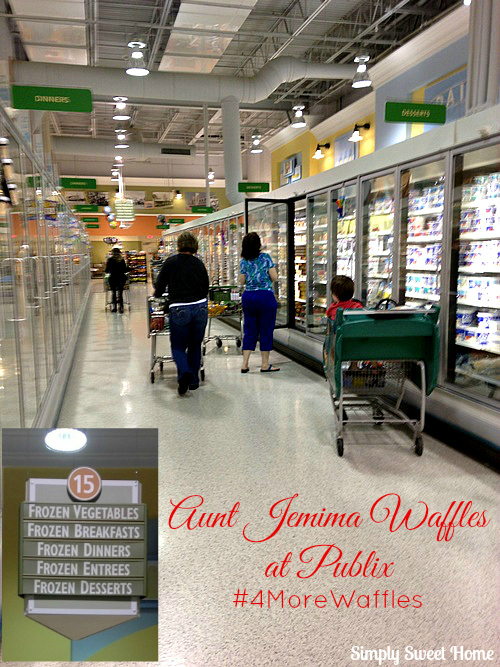 I found Aunt Jemima Waffles in the frozen food aisle at Publix. The waffles are available in the following varieties: Homestyle, Blueberry, Buttermilk, and Lowfat. Coupon! 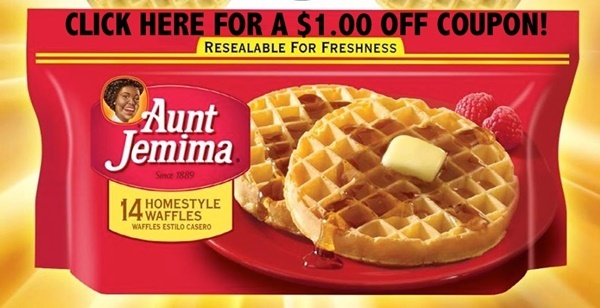 As if adding 4 extra waffles to the package wasn’t enough, I have an even greater deal for you! 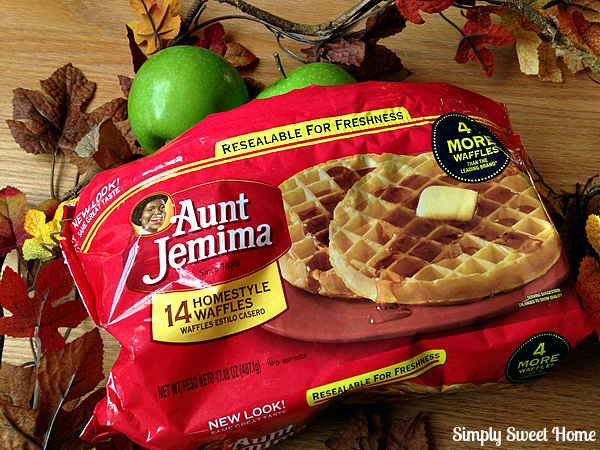 Add Aunt Jemima Waffles to your shopping list this week, and you can save $1 with this coupon while supplies last. 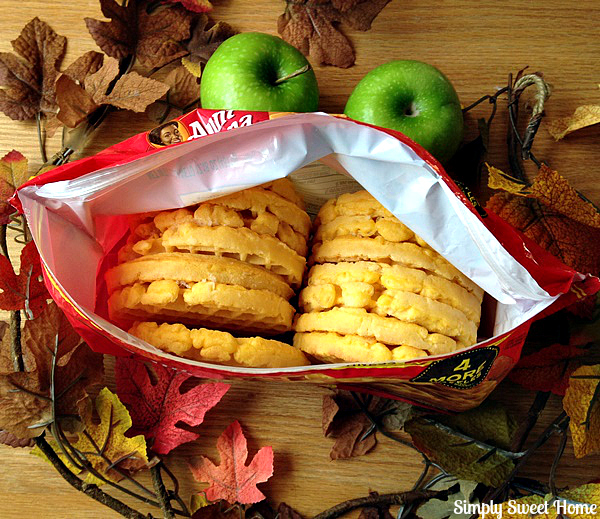 When I think of fall, a number of flavors to mind. One of these is apple, and especially caramel apple! 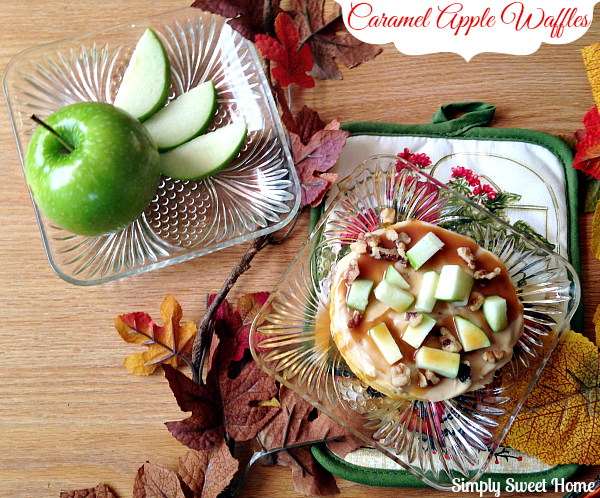 Today’s recipe brings the caramel apple from the county fair to the breakfast table! 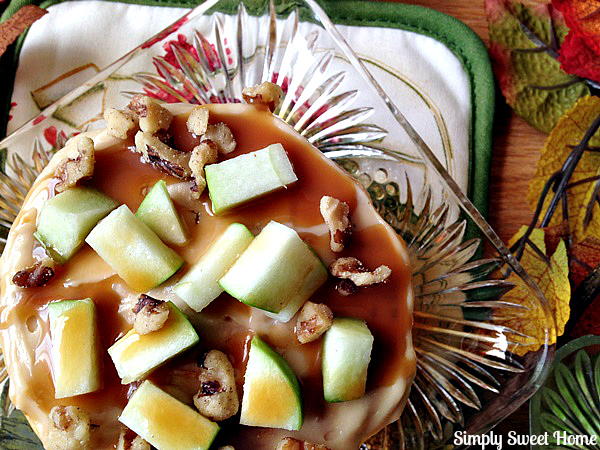 I started off by making a caramel cream cheese spread and then I added chopped apples and nuts, and I drizzled caramel on top to create a perfect mixture of fall flavors and textures. Just imagine a funnel cake; then add a little caramel apple on top. If that sounds good to you, then you will love this recipe! Place cream cheese on counter to soften. Or place in the microwave for a few seconds. Add brown sugar and mix until well combined. Add vanilla and stir. Then stir in in caramel. Cook waffles as directed. Top each waffle with a little cream cheese mixture. Then top with apple pieces and nuts. Drizzle with additional caramel. And enjoy! Join the conversation in the comments! I’d love to know how you like your waffles! My husband would love these. Will definitely have to make! What a great looking recipe! Thank you so much for linking up to Merry Monday this week! I am sharing your post tomorrow on my Twitter We hope to see you next week for another great party! Have a great week!